4 BR, 4 Bath, 3200+ sq. ft. Price $279,900, MLS #20622529. Only 1 year old get the "new construction" feel without the wait or fuss! Perfect location - A short walk to the course and close to shopping and Offutt AFB. Sunny eat-in kitchen is open to the Family Rm w/fireplace & lots of windows. Master Bedroom & Bath boast coffered & vaulted ceilings, dual sinks, plant shelf, & seperate toilet room. Soak in the whirlpool tub under the skylight! 2nd Floor Laundry Room is so convenient - no more carrying laundry up and down the steps! Huge Finished Lower Level has large window & ¾ bath. Sprinkler & Security System, 2 50 gal Hot Water Heaters, Window Seats + More. 6' PVC Privacy Fence w/dual gates frames this gorgeous, professionally landscaped backyard. You'll love relaxing on the patio listening to the soothing sound of the low-maintenance Koi Pond and taking in the beautiful plants and flowers. There's also plenty of room for a playset & trampoline on the opposite side of this large yard! 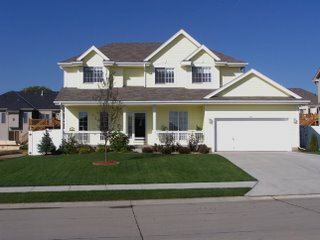 View this home at 214 Longwood Drive, Papillion, NE 68133. For an Interior Photo Tour Visit: www.HuskerHomeFinder.com, then click on "Featured Properties"
About Angela May's Omaha and Offutt AFB, NE Real Estate Website: The www.huskerhomefinder.com web site provides Omaha, Papillion, Ralston, Lavista, Bellevue, Dundee, Millard, Elkhorn, Gretna, Council Bluffs, Carter Lake and Offutt Air Force Base, Nebraska real estate information and resources to guide homeowners, homebuyers and real estate investors through the process of selling and buying a house, condo or other realty property in the Omaha and Offutt AFB area. Angela May (Sometimes spelled as Angel May, Angel Mae, Angela Mae, Angie May, Angie Mae, Angle May, Angle Mae, Angla May, Angla Mae, Angie May, Angie Mae, Angi Mae, or Angi May) has services to help you get the best value for your Omaha and Offutt AFB home and this website offers home buyers and home sellers a superior comparative market analysis (CMA), a way to view real estate and MLS IDX listings including virtual tours, prepare your home for sale, and more. Investors looking for real estate investment properties to invest in need look no farther. Anyone selling a home, buying a home or seeking housing can learn more about our realty services, and will appreciate working with a Omaha and Offutt AFB REALTOR who knows the area so well. 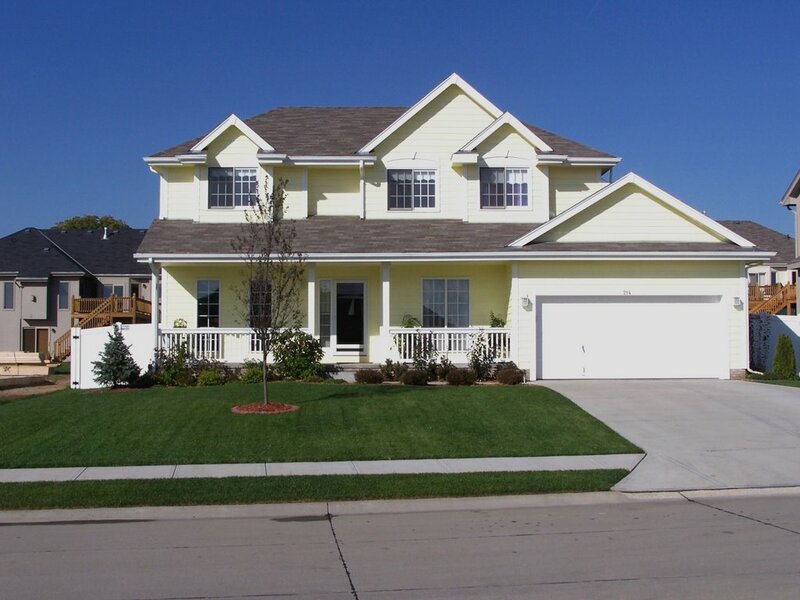 Through trusted partners, we also provide real estate and financial services to consumers looking for houses for sale or selling their home in Omaha and Offutt AFB, NE, such as mortgages, credit history, new homes, foreclosures and other services. If you've already tried to go the for sale by owner (FSBO) route and find you are needing a partner who you can trust in the sale of your most precious asset, Angela May can take care of your special needs. It really doesn't matter if you spell it REALTOR, Realator or Realter, realty, realety or reality, real estate or realestate, Angela speaks your language.